We are very grateful to all these hobby stores because they have recommended our services. If you're looking for knowledgeable people, with great customer service, we recommend you visit these stores. Below is a list of various manufacturers that we have used in building railroads for our clients. Here are some links of railroad information or clubs you may be interested in, we recommend you visit these sites. Welcome to a hobby that combines model trains with the outdoors--garden railroading. The Largest Interactive Museum of Miniatures in the World! The NMRA is the largest organization devoted to the development, promotion, and enjoyment of the hobby of model railroading. NTRAK is a nonprofit organization run by volunteers, its purpose and objective is to encourage model railroading in N-scale. The Boston & Maine Railroad Historical Society, Inc. is composed of individuals who share a common interest in the history and operations of the Boston & Maine Railroad. Today's BNSF Railway is the product of some 390 different railroad lines that merged or were acquired during more than 150 years. 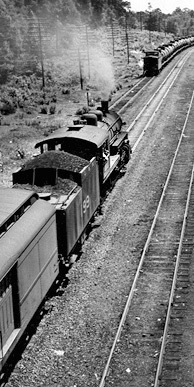 NERAIL is an Internet mailing list run by Gil Emery Jr., devoted to the discussion of New England Railroads. It is an excellent forum for young adults with similar interests to learn about the rail history movement while sharing ideas with peers from other parts of North America. Find Clubs, Railroad gifts, Museums and more.